*Regularly check the fuel dispenser grounding device to see if the grounding device is normal, and in a good contacting condition. *Regularly measure the grounding resistance of the nozzle; check if the grounding resistance is less than or equal to 10Ω; if not, you should replace or reinstall the hose coupling in a timely manner. *Regularly check if there is any fuel leaking inside the fuel dispenser. If there is, you should fix it in a timely manner. *Regularly check if the working noise of the fuel dispenser is abnormal. If it is abnormal, you should solve the problem in a timely manner, before using the fuel dispenser,. *Regularly check if the backup power supply inside the fuel dispenser is working normally. If not, you should repair it in a timely manual. * Regularly test if the metering accuracy of the fuel dispenser is correct. If not, you should, in a timely manner, find a quality inspection department to calibrate it. *Regularly check if the lead seal of the fuel dispenser or the chip seal is intact. If not, you should, in a timely manner, find a related department or personnel to solve the problem. *Regularly check if the emergency stop mechanism or automatic closing mechanism of the fuel dispenser is working normally. If not, you should eliminate the fault(s) or replace corresponding component(s) in a timely manner. *Regularly check if the power supply circuit, power supply switches and anti-explosion boxes of the fuel dispenser are working normally. If not, you should eliminate the fault(s) or replace corresponding component(s) in a timely manner. *Regularly check if the exhaust device of the fuel dispenser is unclogged. If not, it may affect the metering accuracy of the fuel dispenser, or jeopardize the safety of hydraulic systems, such as the fuel pump. 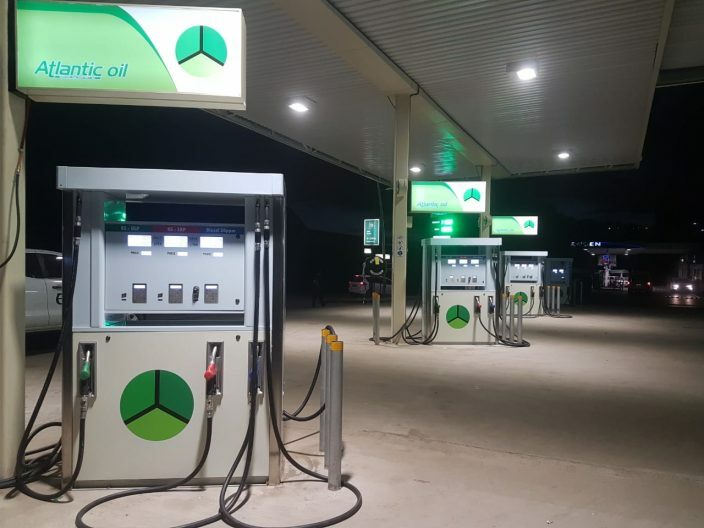 *After shift change or at leisure time, the nozzle operators should wipe the outer casing of the fuel dispenser to keep it is clean and dust or dirt free. They should open the door of the fuel dispenser to remove dirt inside from time to time. They should add oil to pump shaft bearings, counter bearings and drive components. They should check if the belts or wires are loosening. *Checking after shift change or during the shift: checking methods: To listen if the running noise of the fuel dispenser is normal or not. 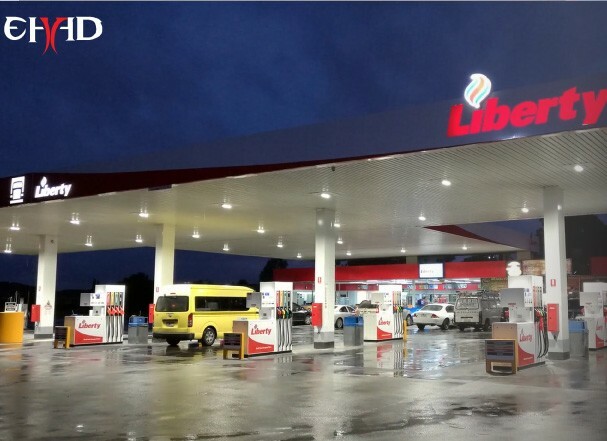 To see: if there is any leakage or deformation occurring to various connections of the outer casing and body of the fuel dispenser, and if the displays are normal or not. To smell if there is any abnormal odour or not. When fuelling, prevent fuel from spilling out, especially when fuelling a motor vehicle. Never let fuel spill on a high temperature engine or exhaust pipe. If some fuel spills out, wipe it up immediately. Rags with fuel stains should be kept properly in a lidded container. When a passenger bus comes to the station for fuelling, there shall be no passengers on the bus. Never fill gasoline or kerosene, etc. into an intuitive container, such as a plastic bucket or basin. When using the nozzle, do not carry out an incorrect operation such as hitting a fuel receiving container or pressing a switch with the nozzle; such an operation may damage the nozzle or cause fuel leakage. Before you lift the nozzle for testing, you must make sure that the nozzle is in an shut-off condition, to prevent the occurrence of fuel spilling after the nozzle is lifted. When testing, you can turn on the nozzle for fuelling only after the nozzle reliably touches the wall of the metal bucket. If someone is smoking or using a cell phone inside the station, you should stop fuelling immediately. If there is/are high intensity lightning or frequent thunderbolts in the sky above the gas station, you should stop fuelling operations, and take protective measures. During fuelling, you should pay close attention to the oil tank opening, to prevent fuel from spilling out. After fuelling, you should pull out the nozzle immediately, to prevent it from being dragged away. Before and after fuelling, you should keep the rubber hose on the fuelling island, to prevent it from being run over by vehicles. When fuelling and payment procedures are completed, you should, in a timely manner, guide the vehicle to leave the gas station.